We are an unparalleled name engaged in offering a premium quality range of High Pressure Hydraulic Cylinders. Jagtar Singh & Sons Hydraulics Pvt. Ltd.
We are engaged in offering cylinder for our clients.The range we offer is made as per the clients' specifications and is extensively used in compressors.These products are highly reliable, durable and affordable that consume least amount of electricity and advantageous for clients. 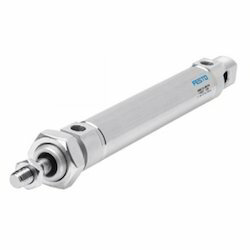 We are the most favored destination for availing Hydraulic Cylinder. 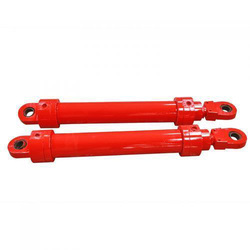 We bring forth highly acclaimed Hydraulic Cylinders which are used in various applications in automation of machines, JCB, Construction equipment manufacturing, etc. Our Hydraulic Cylinders are made from high quality metals for their durability and corrosion resistance. AutoDynamics is one of the pioneers in the area of design and manufacture of high pressure composite cylinder and cylinder modules for automotive and non automotive applications. These high pressure composite cylinders are use for storage of various fuels like LPG, CNG, Hydrogen, etc. With more than 15 years of experience Cryostar Automation has become a leading supplier to all major gas companies for industrial gas cylinder filling stations. Thanks to its experience and innovative approach, Cryostar has provided customers with equipment, engineering and turnkey projects for industrial, medical and special gases world wide. To meet variegated demands of our esteemed clients, we are engaged in manufacturing an exclusive range of High Pressure Hydraulic Cylinder. - Our company offers to clients a wide range of High Pressure Hydraulic Cylinder in different specifications. These hydraulic cylinders come in configurations up to 4000 tons. Light weight and portable made of aluminium, generally upto 50% lighter then the steel cylinders, hence this makes the cylinders portable and easy to handle in emergency situations.